My original boxes were home-made, using pine boards, etc. They have lasted almost 10 years with some rotting out. 1) the end pieces (that hold the side boards) split over time and the side boards must be staked to keep them in place. 2) You cannot stack 2 sets of boxes on top of each other (to make taller beds) without serious staking because the 2 sets under load of MM will separate, allowing the MM to ooze out of the beds. I see where others here have used these with success but for me - they are just frustrating. I wondered about them. Thank you for posting your personal experience. 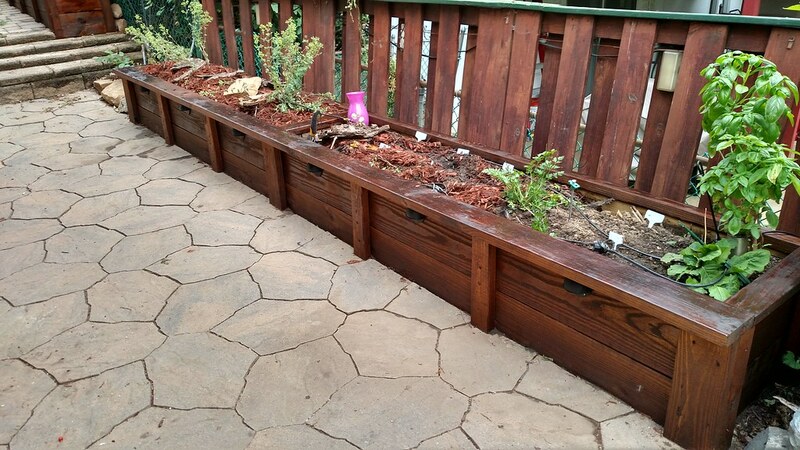 I won't use I" (3/4-7/8") cedar boards again as they are too thin, allowing the beds to dry out too fast in the summer. Husband only made five 1' x 3' beds so not a huge impact on my garden. The other 100 sq. 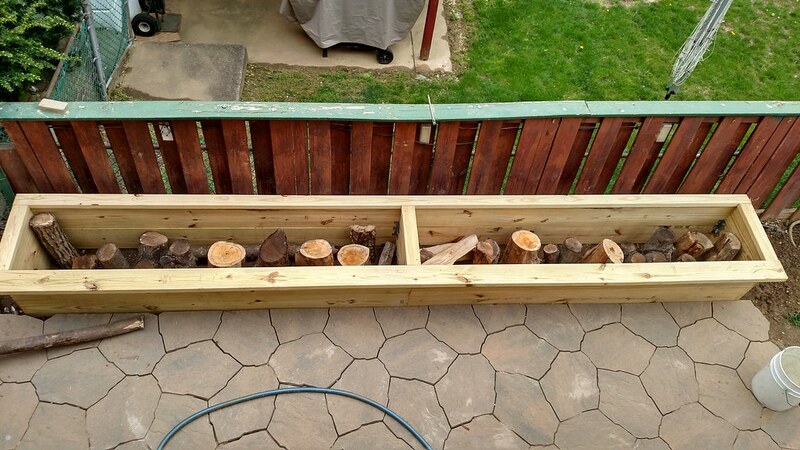 ft. are constructed with 2" thick (1 1/2") pine/fir, acting as good insulation for the MM. I just put this same 4x8 bed together (stacked) ... Guess I'll find out if it stays together. I know I'll be in big trouble if the corner pieces split. 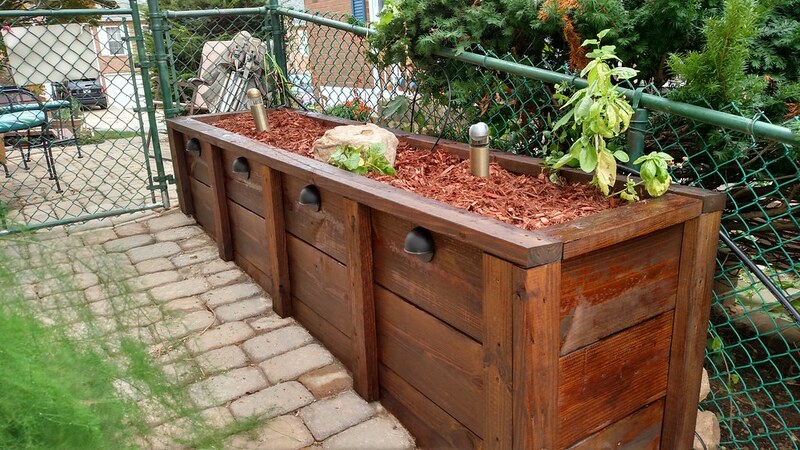 @Judy McConnell wrote: My original boxes were home-made, using pine boards, etc. They have lasted almost 10 years with some rotting out. They do look pretty, be now we know better thanks to you, Judy. It is better to pay more for good quality materials which makes them last and last. All my beds are made from 2 x 8s that I bought in a job lot. All i needed to do, after I had a carpenter charge me for making my first three beds was to have the boards pre-cut to length and i was able to fasten them together as I needed them. The plants really do not mind how their containers looks so long as they are happy. Thanks for the review Judy. As far as the corners splitting, I am thinking if you keep an eye on them, you could attach some 1x4's on just the outside of the corners as reinforcements. After this past winter, the commercial beds have suffered more separation problems - no corner board splitting but the side boards have pulled out from the corners - maybe from freezing and thawing of the MM. 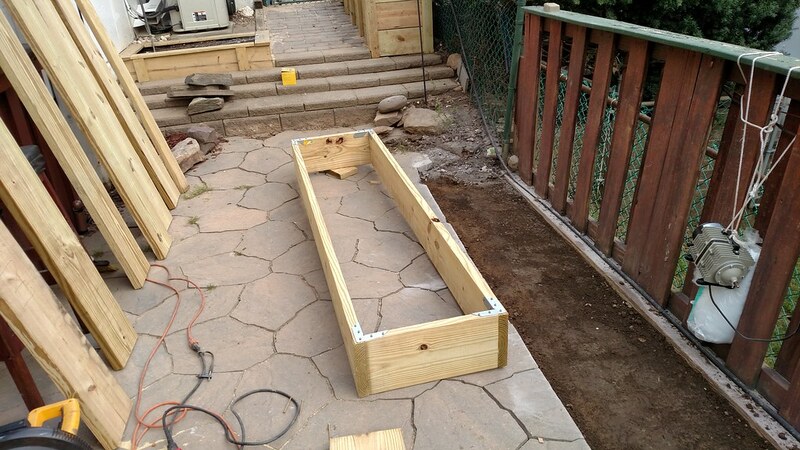 Ralitaco - I think you really have the answer to my separation problems - but instead of just reinforcing the corners, I suspect that I need to run the 1x4s (or larger boards) the total length of the beds. After removing all the "soil" from the sprung areas and re-aligning the individual side boards, adding additional support boards MIGHT hold the original boards together better. 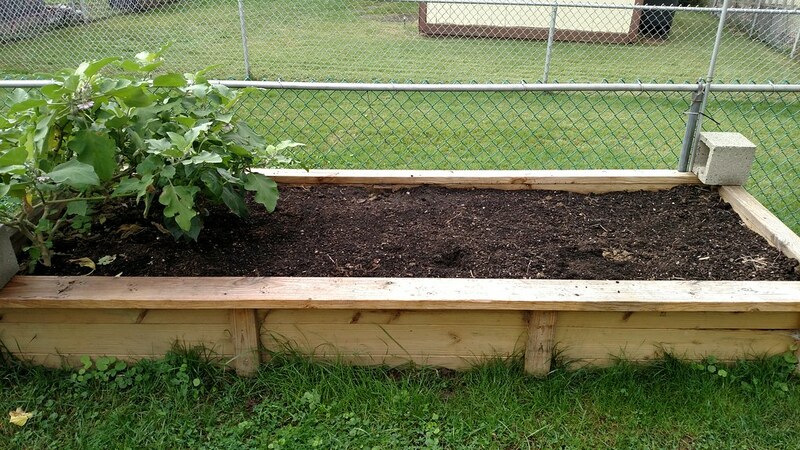 My original thoughts were to hammer 2x2 pegs outside of the beds (into the separated areas to hold the "soil" in the beds) and not tamper with the separation itself. My "love affair" with commercial raised boxes is OVER! 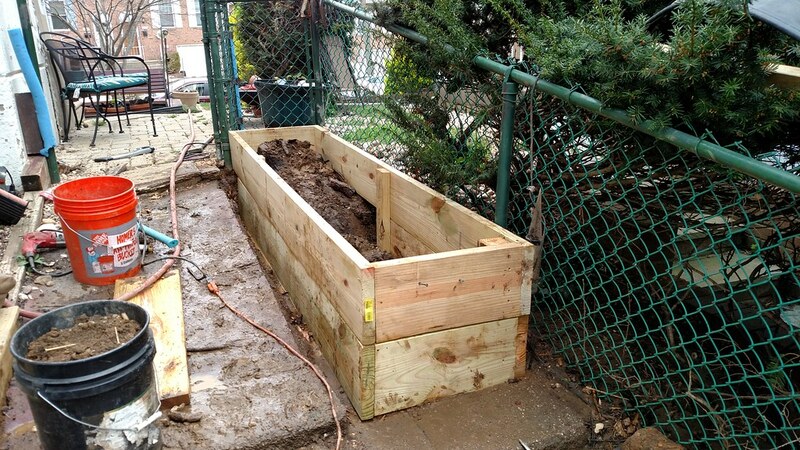 The one "doubled raised bed" has collapsed and I will replace with 2"x 8' BOARDS after the first frost here. (Sorry that I can't post photos). I love the height (almost 2 ft) and want to keep the bed tall. 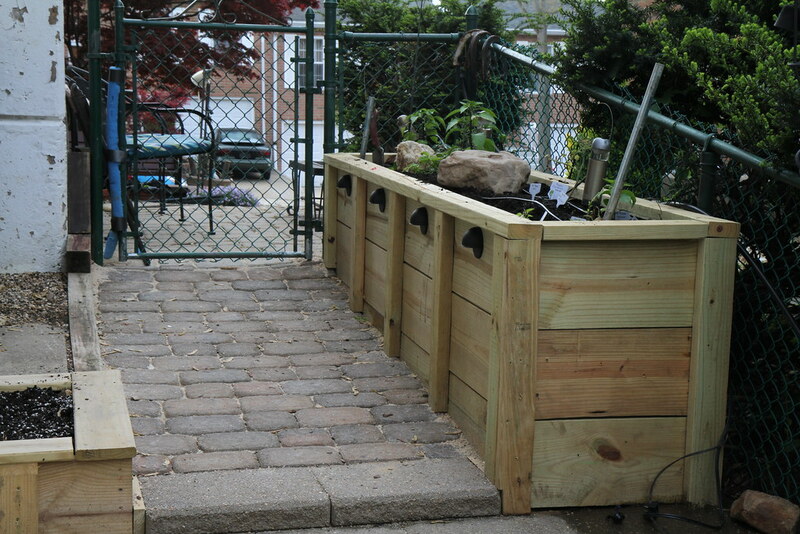 Originally, I had placed 2 raised beds on top of each other - as I had mentioned in my original post. The first thing that I did this spring was to reinforce with stakes and that helped a bit. Over this summer, with all the rain that we had, the corner posts separated from the side pieces and the precious MM is spilling on the ground. This is a no-no and I want to prevent future loss so this bed will be re-built, using boards and corner braces. The long sides will still need to be braced with stakes but that is minor in the scheme of things. @Judy McConnell wrote: My "love affair" with commercial raised boxes is OVER! The one "doubled raised bed" has collapsed and I will replace with 2"x 8' BOARDS after the first frost here. (Sorry that I can't post photos). I love the height (almost 2 ft) and want to keep the bed tall. I used braces for the inside and bottom. 2x6 and 2x4 scraps were secured on the inside to pull the walls in nice and flush. Boards on the outside not only for aesthetics but to pull the boards flush and prevent bowing. 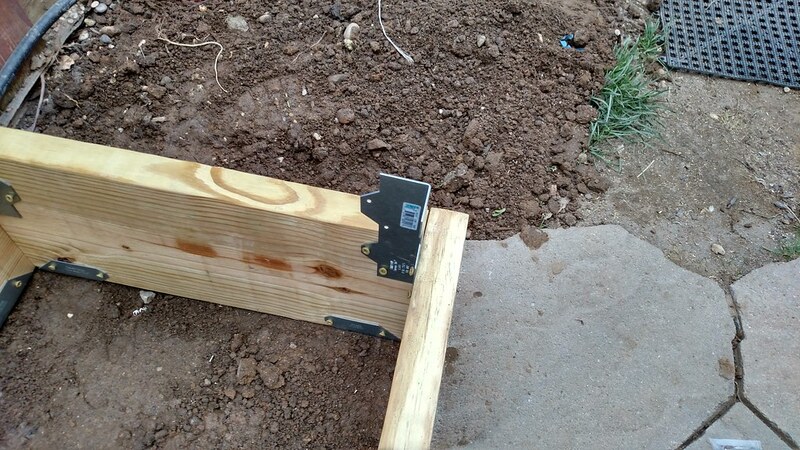 The corners are secured with double 2x4 and screwed into the beds and each other. The tops are framed out adding even more support. Add a little stain and some lights and it looks perty!! Gorgeous! However, how long does it take all that wood to decompose? Years? Absolutely beautiful! One question though (well, okay, a few, lol): Why the logs? Just to take up space instead of having to fill with MM? It doesn't interfere with root growth, etc? @MrBooker wrote: I just put this same 4x8 bed together (stacked) ... Guess I'll find out if it stays together. I know I'll be in big trouble if the corner pieces split. Mine lasted less than a year and a half. Corner posts broke lose. I'll rebuild this fall with 2x12's. I would advise stay WAAaaay Away from these. @donnainzone5 wrote: Gorgeous! However, how long does it take all that wood to decompose? Years? The beds I had on the hill were 20 years old when replaced and still holding it's shape, however they were the Old type pressure treated wood. Not sure how long the new pressure treated wood will last. @AtlantaMarie wrote: Absolutely beautiful! One question though (well, okay, a few, lol): Why the logs? But for the SFG folks, it could be used as a fill on taller beds with the added benefit of what hugelkultur type beds offer. Just be warned that this type of bed can rob nitrogen from the soil the first few years before they're established. I wonder if topping/filling in the wood pieces with chicken or cow manure would provide enough nitrogen for their slow decomposition? Then top with 6" of true Mel's Mix for the veggies? @sanderson wrote: I wonder if topping/filling in the wood pieces with chicken or cow manure would provide enough nitrogen for their slow decomposition? Then top with 6" of true Mel's Mix for the veggies? Hopefully the OP doesn't mind a slight thread hijack.. I'm sure that adding anything with some nitrogen will help. 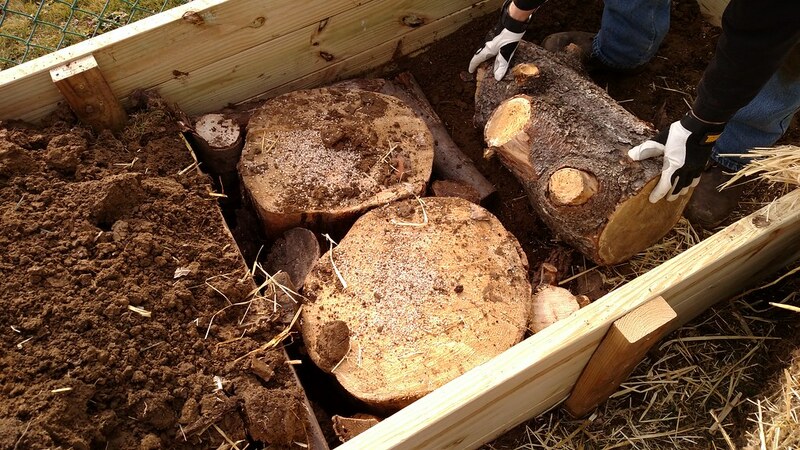 The best bet is to add old rotted wood, especially if it has some type of fungus like mycorrhizae fungi. Fresher wood will pull nitrogen and that's what I used in a few of my beds. 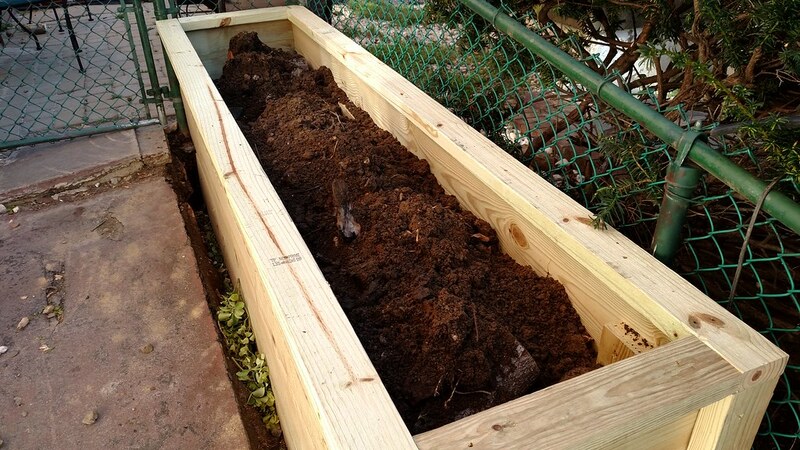 My beds never seem to suffer from the start and I even buried wood chips as a fill, I don't recommend that practice but it seemed fine for me. This is the first year that I turned off my irrigation and have been watering manually from rain water, hoping next year I will have to water even less and the following season will only have to water during droughts. When I built moms 18" beds I layered hay over top of the logs, added a few cups of 10-10-10, potted plants followed by her clay soil and compost and her Hugel beds have produced better than my first year hugel beds, well the eggplants anyway. This is the middle of October and she was still pulling eggplants. I just top with a few 5 gallon buckets of compost each spring and in the fall grass clippings and leaves go in the bed as a mulch and thats it. 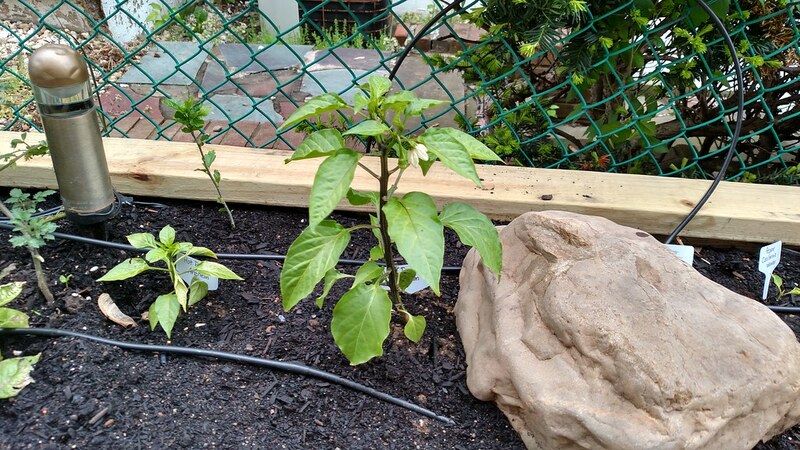 @SQWIB wrote: Fresher wood will pull nitrogen and that's what I used in a few of my beds. I recently watched a video by one of our Aussie friends on the concept of Hügelkultur gardening (video here), and had some of the same thoughts. 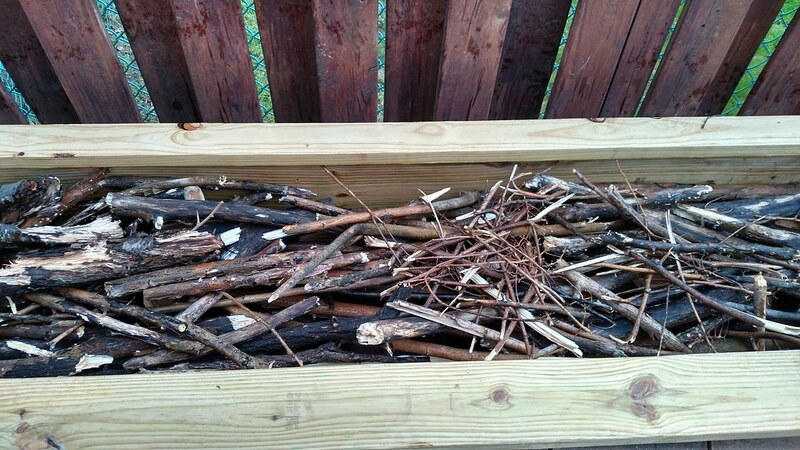 I use free fresh wood chips around fruit trees and some perennials, where they slowly break down into a great mulch that feeds the soil. But, I never dig the chips into the ground, where they would pull necessary nitrogen from plants. But, if the chips were buried deep in the raised bed, I wonder how much effect it would have on nitrogen availability to the vegetables on top? 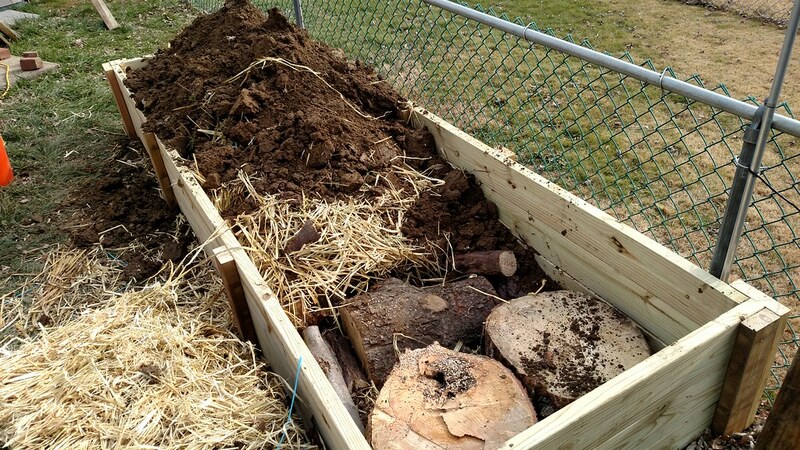 I compost free wood chips by simply having them dumped in a big pile in the back forty, and periodically using the front end loader to turn the pile. None of the grass or weeds which grow right up to the pile of chips suffers any nitrogen deficiency. 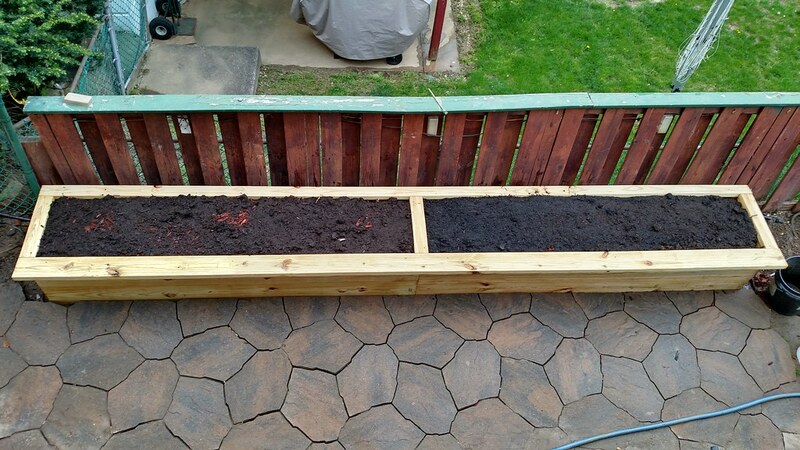 One day I may build a high raised bed and fill the bottom of it with wood chips, and then fill the top foot or so of it with something like Mel's Mix just to test the theories. Maybe a layer of alfalfa pellets between the wood chips and soil? It would be a lot less expensive than buying "garden soil" from the local mulch place like I did with the current raised beds. Sorry, re-read this post and looks like you are referring to the wood in the beds. Yes it takes years sometimes up to twenty years for large logs, but the decomposition also depends on your climate.